Portland's South Waterfront is a small neighborhood located just south of the Ross Island Bridge and north of the old spaghetti factory or SW. Bancroft St., east of Interstate 5. This small waterfront neighborhood is home to the Elizabeth Caruthers Park as well as several high-rise apartment buildings and condominiums. The South waterfront lower tram terminal as is the Gibbs Street pedestrian bridge across the interstate. The hospital district is located just west and this is a popular place for those that work at the hospital or surrounding neighborhoods. SoWa, as it's commonly known, is one of the largest and most expensive redevelopments in Portland's history. This was once an industrial site along the river south of downtown but now it has over 20 high-rise buildings including medical offices and labs for the Oregon Health & Science University. This was one of the first urban neighborhoods in the US to achieve the Salmon Safe certification. This means that the area exceeds a state and federal regulatory commitments to protect the Willamette River and its urban tributaries. Similar projects around the Portland area that also have the certification is the Oregon Museum of Science and Industry, the Portland State University and the Oregon convention Center. 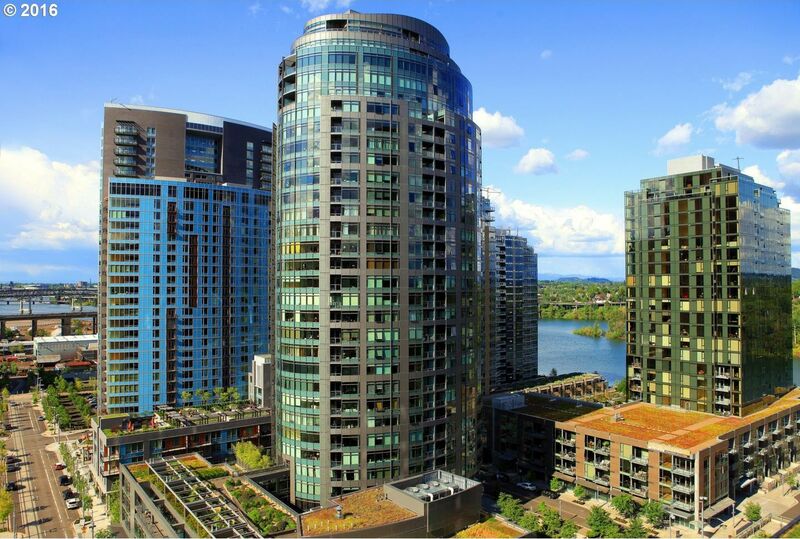 Portland's South Waterfront has been noted as Portland's next great neighborhood powered by ambitious new vision, high-rise buildings and a posh, upscale condominium community. The neighborhoods redevelopment began about 10 years ago with private and city developers coming together for zoning, funding and salesmanship to create a new highrise neighborhood on the old industrial land on the river's Western bank. The first phase the development was a $1.9 billion River Blocks development beginning in early 2004. By 2010, nine towers were completed in the district featuring apartment buildings, industrial developments in residential communities. Mirabella is the areas for senior living community. South Waterfront Greenway is a linear park running along the west bank of the Willamette River in their numerous transportation options to and from this neighborhood. Further development of the new OHSU buildings in the district are scheduled to begin in 2016 with over $500 million of projected work. New facilities will be part of the Knight Cancer Institute and there will be other buildings for patient medical care, research and administration. Start your online search here for the newest South Waterfront condominiums and contact my office today to schedule a showing.